Diaper need is the lack of a sufficient supply of diapers to keep an infant or toddler clean, dry and healthy. Diaper Need Awareness Week is an initiative of the National Diaper Bank Network (NDBN) created to mobilize efforts to help make a difference in the lives of the nearly 5.2 million babies in the U.S. aged three or younger who live in poor or low-income families. This year, Mayor Stephanie Miner has once again signed a proclamation recognizing Diaper Need Awareness Week in the City of Syracuse. Since May 2016, the volunteer-run CNY Diaper Bank has distributed 224,000 diapers to families in Syracuse through a growing network of 15 partner agencies. The need in Syracuse is SO great--we have several agencies on our waitlist. We need your support to continue to expand our reach and ensure that all CNY babies and toddlers stay clean, dry and healthy. 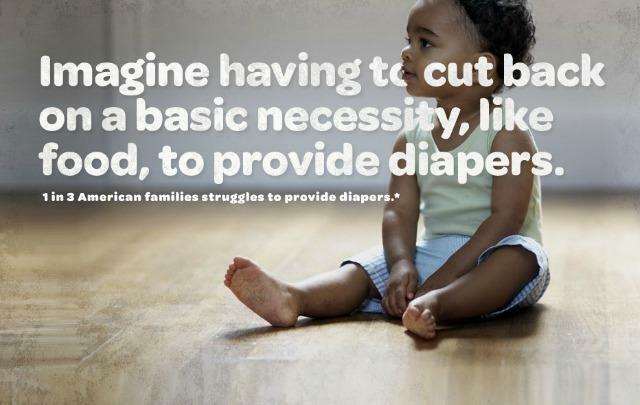 It is hard for many of us to imagine that families struggle with something as basic as diapers, but they do. Everyday--local families go without. Ages 0-2 are a critical time in a child's development and they must have basic needs like diapers in order to thrive. Host a Diaper or Fund Drive-Whether you do it at work, church, school, your neighborhood or among friends and family--nothing builds awareness of diaper need like a diaper drive! It's easy, rewarding, people LOVE to participate and your efforts WILL make an impact for local families. Donate Funds -The CNY Diaper Bank can buy diapers for little as $.09/diaper-or less than half the price in a store. You can donate by mailing a check, through Paypal or Jet.com, or on our website. Donate Diapers at a drop-off location OR online.